I discovered that I had one kink in my plan to keep the factory top off my Jeep Wrangler for the entire summer. The Bestop Safari Top works great to keep water out of the cab area and rain water falls harmlessly on the Rhino Lining in the rear and sides of the Jeep. My one weakness; the seats still found a way to get wet. 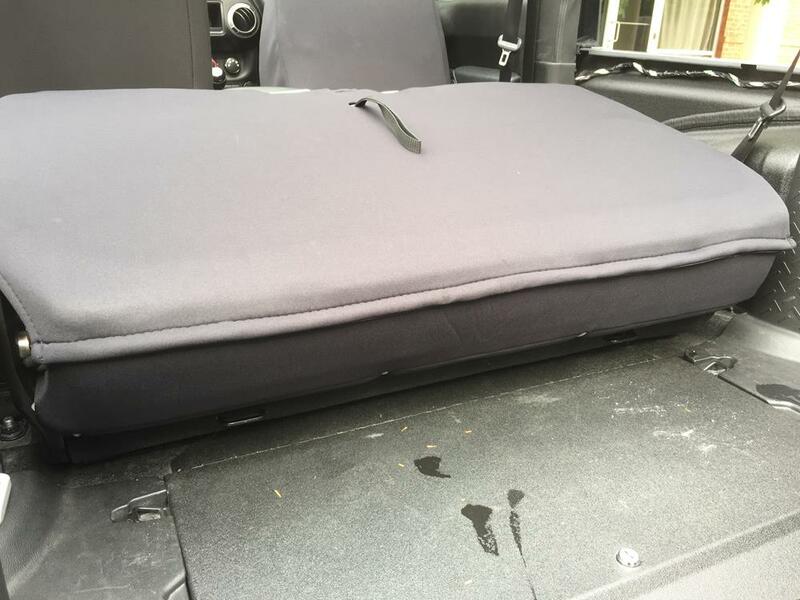 The top of the rear seat sticks out from under the safari top and the sides of the rear seat get wet from water blowing in on them. Worst of all is the moment you discover that water has pooled in the middle of the safari top, usually when you are taking it down-needless to say, water everywhere! Good thing we are being sponsored by Wet Okole Hawaii for the Rightline Gear Jeep build. Wet Okole Seat Covers to the rescue! The covers are made from waterproof CR Neoprene (laminated with nylon on both sides for toughness), perfect for solving my issue. The best thing about Wet Okole Seat Covers is that they are made to order. You can choose color, logo style, and piping design and add one of several pocket designs, a lumbar support, and a heating pad. 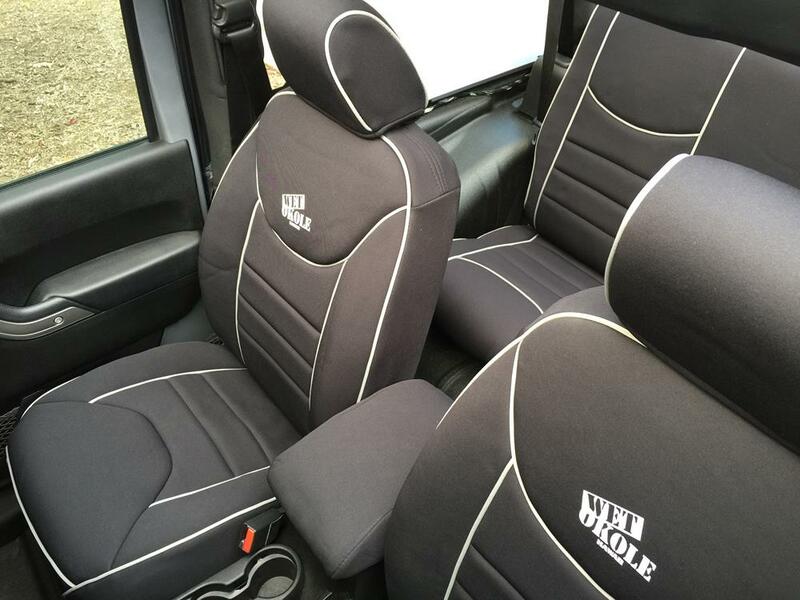 You will end up with seat covers to perfectly fit your design sensibilities and your vehicle. 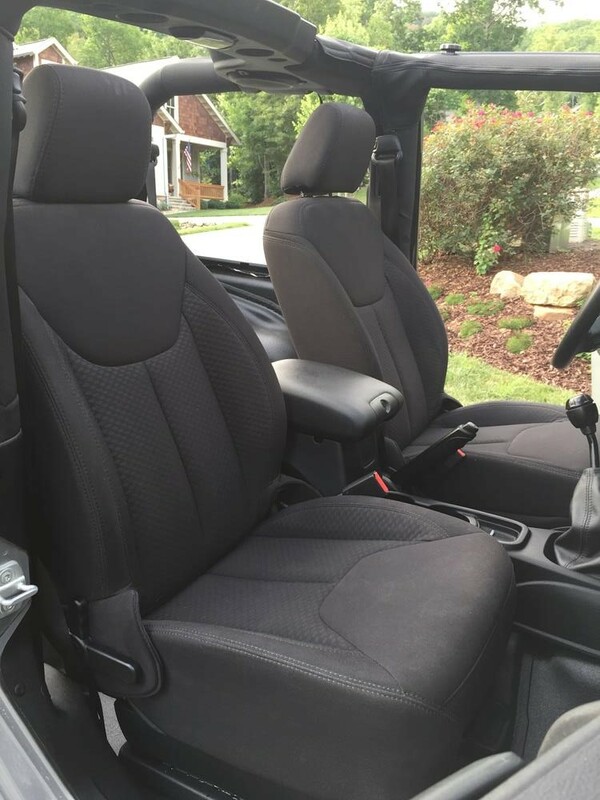 My Jeep Wrangler Sport has the OEM cloth seats. It is surprising how much they have faded already. 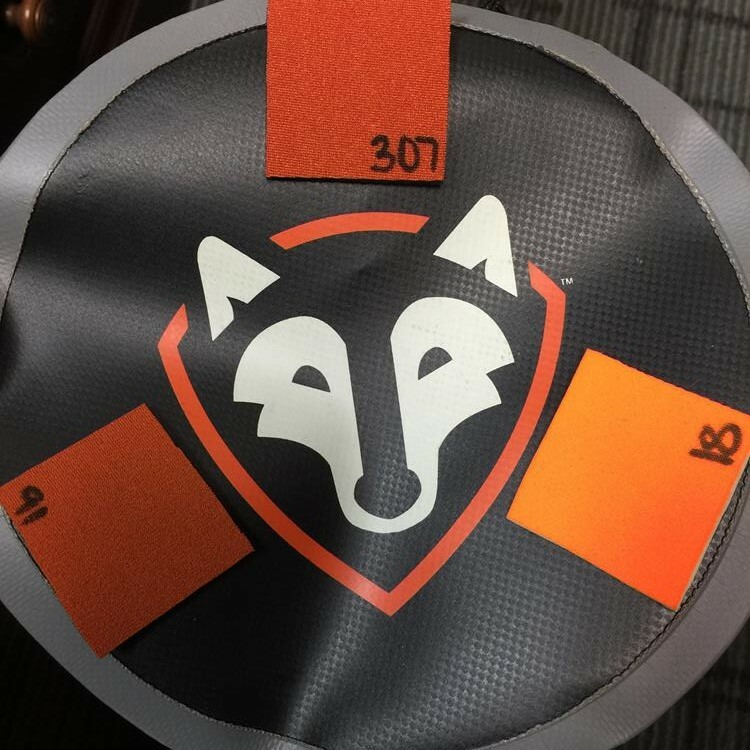 My first thought was to make the seat covers with orange accents to go along with the Rightline Gear orange accents we will have on the outside of the Jeep. Wet Okole will send small swatches of their colors ahead of your order. Unfortunately, the Wet Okole orange colors were not a close enough match for our Rightline Gear orange. I decided to use a light gray full piping design to provide an accent color to the black covers instead. 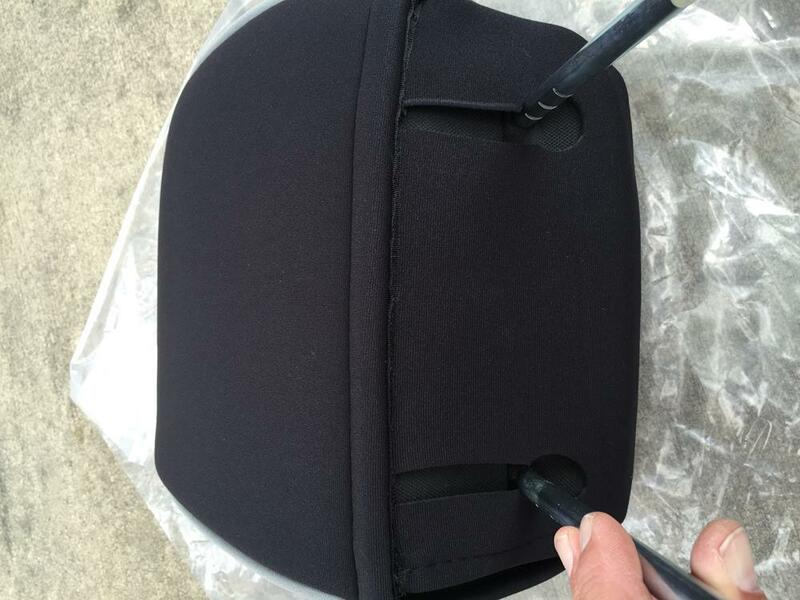 The quality of the seat covers is impressive as the neoprene is backed with 1/2″ thick foam. The headrests are covered by individual head rest covers that secure with Velcro closures. 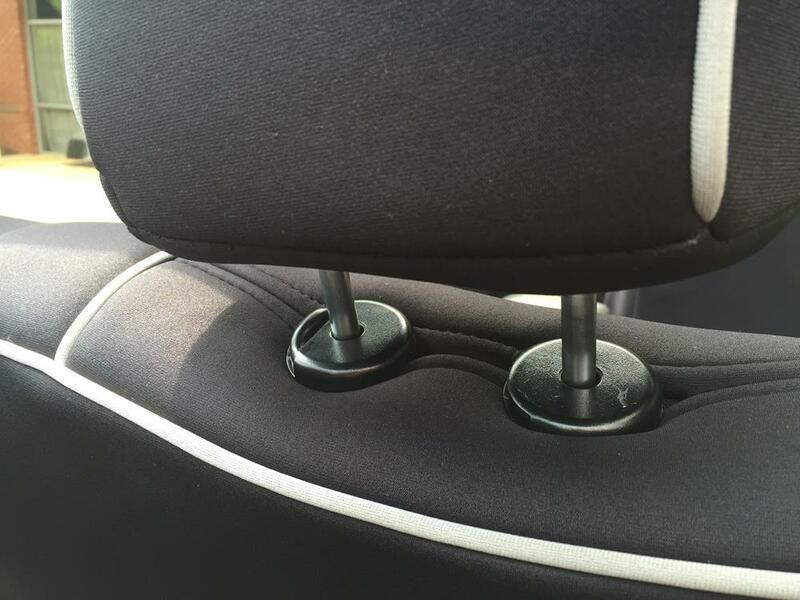 The Velcro is secured at the front of the headrest – a perfect fit on all (4) headrests. The driver side and passenger side seat back covers feature openings for your seat controls and headrests. Make sure you match up the correct cover for the correct seat. To prepare for installation, you must fold the OEM fabric skirt under on the back side of the seat back. 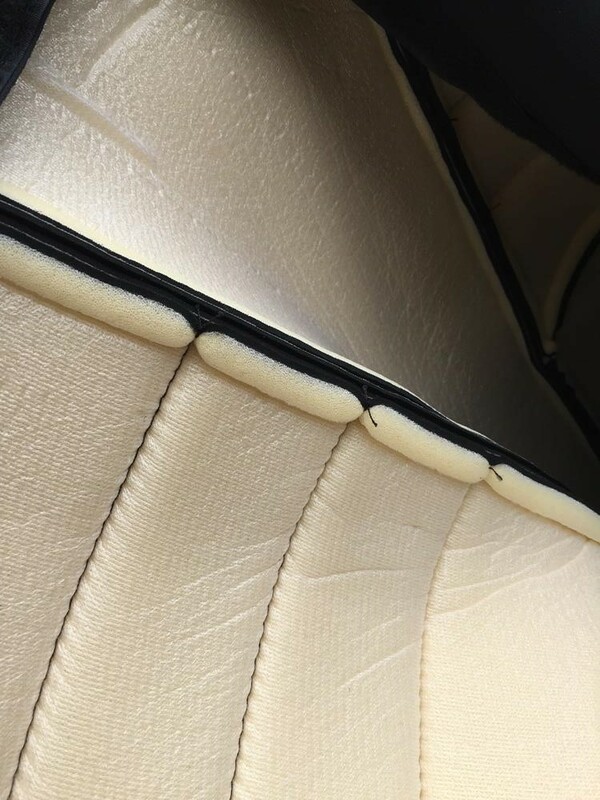 Then, the front side panel of the seat back cover is pushed through the opening between the seat back and the seat bottom to Velcro to the rear side panel of the seat back cover. 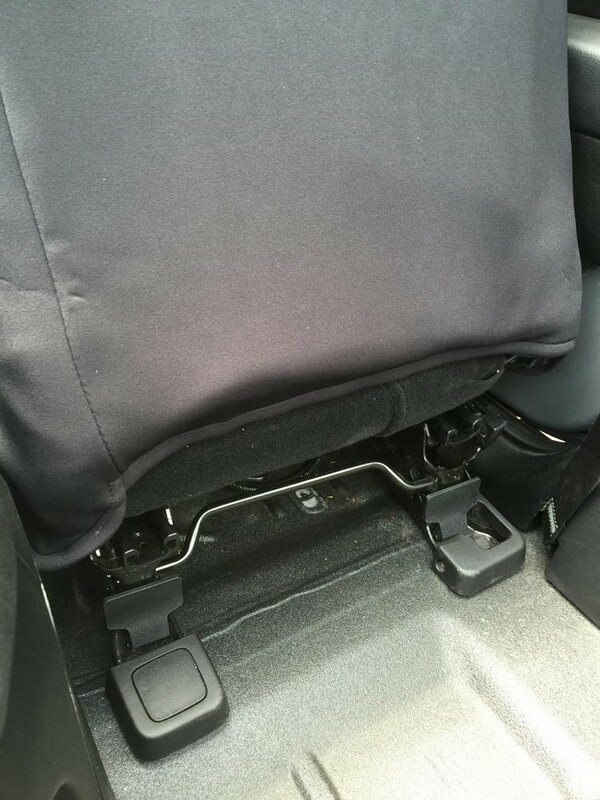 The rear seat’s seat back cover installs in the same way, except there is no skirt to get out of the way. The seat bottom covers are a little more challenging that the seat back covers. 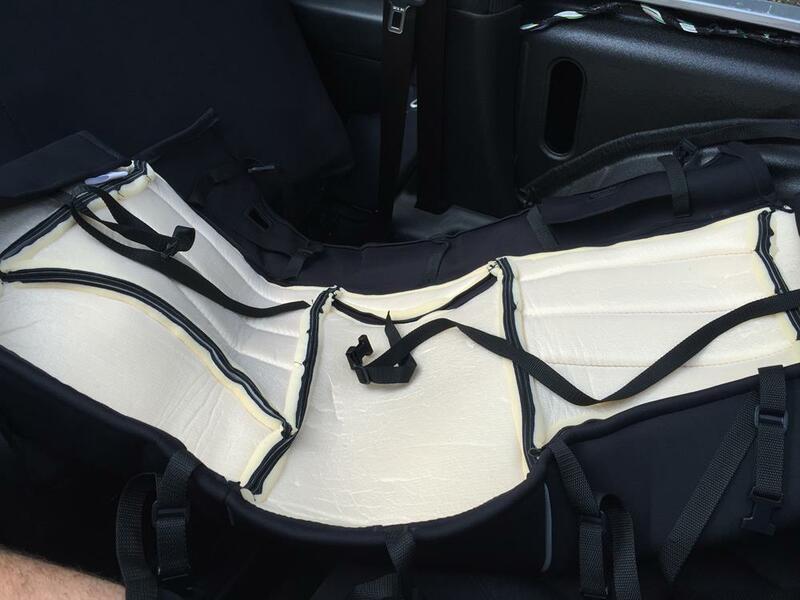 The seat bottom covers are held in place with quick release buckle straps that run under the seats. Here is what the rear seat bottom cover looks like pre and post installation. 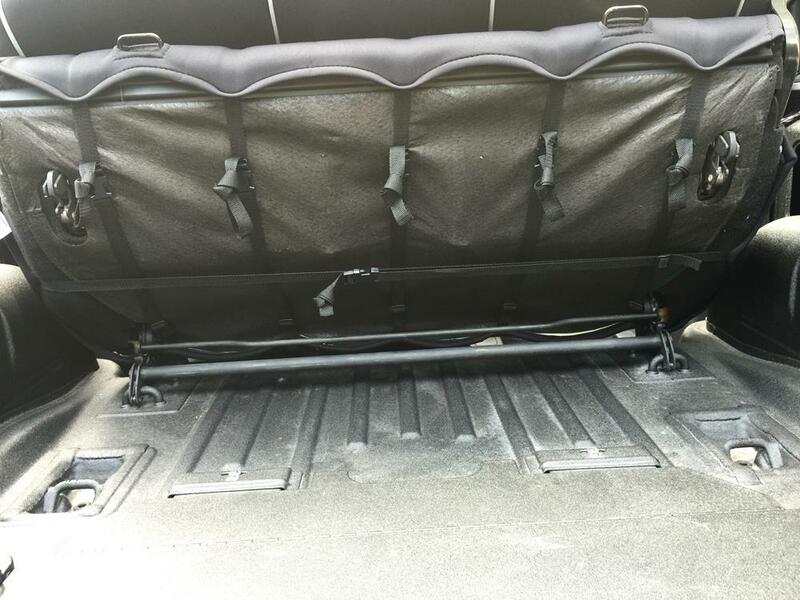 The driver and passenger side covers require you to find a good path for the quick release buckle straps amidst all of the wiring and hardware under the seats. 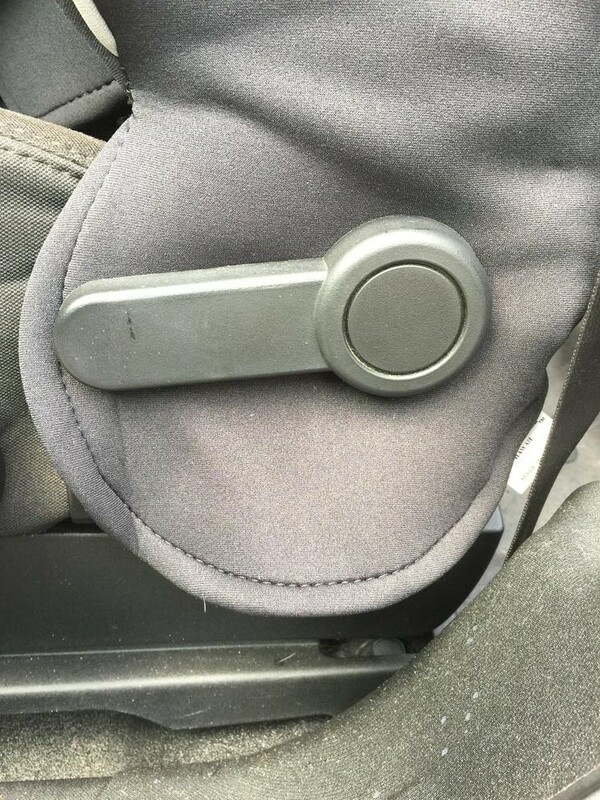 The overall installation is not difficult, but make sure you have the correct cover for the correct seat before starting. This step will save you needless work – I may or may not be speaking from experience! Once installed the covers fit perfectly and look great. Notice that Wet Okole even includes a cover for the front armrest. You know how hot that thing gets-problem solved! 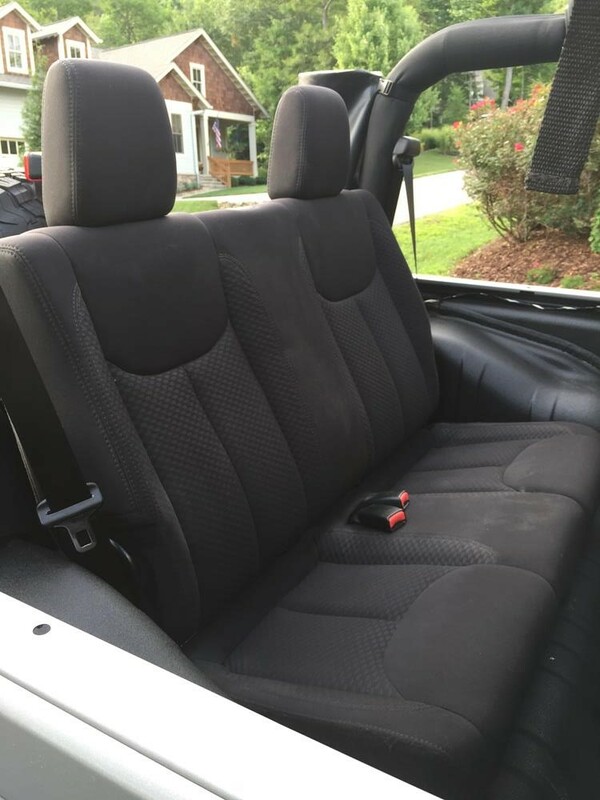 A true upgrade over the OEM cloth seats and the covers are waterproof. The quest to not use the factory top all summer lives on!